It's probably one of the biggest question marks this season. Zhenya aside, who even gets second? If Caro repeats CoR performances, she has a strong shot but on the other hand, what is even Satoko's state? Her jumps may be back but is her stamina? Last season at NHK they did call her URs, but will they do so this season when so much more is at stake? The potential third, how are they going to score Polina? Her jumps looked fine at the 3rd CoR stage but what is going to be her PCS? I doubt they'll b Alina-high, which makes me grumble, but where does she fall in the PCS gradation? Of course depending on all of this, we'll have a somewhat clearer shot at what happens with Wakaba. For her, Caro in 2nd is probably the best outcome. This time I'll make predictions only after I read practice reports! That won't tell us much about Satoko alas. She had her triples back in the summer but her stamina is the big question. If she has that back, she has less chances of URing (well, she's always prone but...) but practices won't tell us that. The rest should help though! We saw Polina just a week ago and I can say she looked great, better than in the 2nd round. Kaetlyn Osmond is a Canadian figure skater. She was born in Marystown, Newfoundland, Canada on December 5, 1995. Osmond began skating at age three, following her elder sister Natasha. Her home town couldn't provide for enough training time so she often had to travel to Montreal to train and since age ten, she has been training at the Ice Palace Figure Skating Club in Edmonton. Though she won the short at the 2012 World Junior Championships, she finished 10th overall. Next season she won her first international title at 2012 Nebelhorn Trophy and made her senior Grand Prixdebut at the 2012 Skate Canada. That season she won her first the Canadian national title, the first time in ten years that a ladies' single skater from outside Quebec has done so. Next season she repeated as national champion and represented Canada at the Winter Olympics in Sochi, where she finished 13th. In March, she placed 11th at the 2014 World Championships in Saitama, Japan. The following season she was assigned to compete at 2014 Skate Canada International and 2014 Trophee Eric Bompard she had to withdraw due to a broken leg, which also forced her to miss out on the rest of it. She gradually returned to skating, and received the silver medal, behind Evgenia Medvedeva, at the 2016 Skate Canada International. In November, she took silver behind Elena Radionova at the 2016 Cup of China. This was enough to gain entry to the GPF, making her the first Canadian lady to qualify to the Grand Prix Final since Joannie Rochette did so in the 2009-2010 season. In March 2017, Osmond was awarded the silver medal at the World Championships in Helsinki, Finland, having ranked second in both segments. It was the highest result at the event by a Canadian ladies' singles skater since 2009, when Rochette also won silver. She is the 2017 World silver medalist, the 2012 Skate Canada International champion, a two-time Nebelhorn Trophy champion, and a three-time Canadian national champion (2013, 2014, 2017). She is currently coached by Ravi Walia, and is a member of the Ice Palace FSC skating club. She participated in 2017 SC Autumn Classic International where she finished 1st. Laurine Lecavelier is a French figure skater. Lecavelier was born on 26 April 1996 in Enghien-les-Bains, France. She started skating when she was 5 years old and debuted on the ISU Junior Grand Prix series in 2011. She won her first senior national medal, bronze, at the 2013 French Championships and was sent to the 2013 World Junior Championships in Milan. She finished 13th. The following season she competed at the 2014 European Championships in Budapest where she also placed 13th. In 2014/15 season she made her Grand Prix debut, placing 11th at the 2014 Trophée Éric Bompard and again participated in the 2015 European Championships in Stockholm, this time finishing 10th, an accomplishment she repeated the season after that. The 2016/17 was her most successful thus far. She won bronze at the International Cup of Nice and finished 6th at the Trophée de France, took gold at the French Championships in Caen and placed 5th overall at the European Championships in Ostrava. She is the 2017 French national champion. As of October 2016, she is a sociology student. She is currently coached by Kori Ade and Rohene Ward, and is a member of CSG Garges Les Gonesse skating club. She has participated in 2017 CS Lombardia Trophy where she finished 10th . Maé-Bérénice Méité is a French figure skater. She was born in Paris, on 21 September 1994. Her parents hail from Congo and Ivory Coast. She first stepped on the ice at the age of five and never looked back. 2007 Cup of Nice was her first international event where she won the silver medal. She also competed at 2009 World Junior Championship, where she placed 12th and moved to Seniors in 2010/11 season, that included the participation in her first Grand Prix events. Last season she participated in the GP Trophée Éric Bompard (now Internationaux de France) and placed 7th. She also participated in the 2017 European championships where she finished 16th. She is a three-time French National champion, has participated in the 2014 Sochi Olympics (10th), has a silver medal from the Winter Universiade in Grenada, 2015. Mae speaks English, Spanish and plays the violin. She is currently coached by Shanetta Folle, and is a member of ES Vitry Patinage skating club. She participated in 2017 SC Autumn Classic International where she finished 8th. She then participated in 2017 Rostelecom Cup where she placed 11th (video: Short Program, Free Skate). Nicole Schott is a German figure skater. Born on 12 September 1996 in Essen. She began skating when she was only 3 years old. Her father was a hockey player and younger sister, Vivienne Schott, was also a figure skater. In 2011, she represented her country at the World Junior Championships in Gangneung, South Korea, where she finished 22nd. She won her first senior international medal in 2014. This season will be the first time that she is participating in the Grand Prix events. Last season she competed in the European Championships and finished 10th and the World Championships, where she finished 19th. She is a two-time German National Champion. Mai Mihara is a Japanese competitive figure skater. She was born on 22 August 1999 in Kobe, Hyogo Prefecture, Japan. She started skating when she was eight years old and debuted on the ISU Junior Grand Prix circuit in the 2012/13 season. Mihara made her senior international debut in early August 2015, winning the Asian Open. She also qualified for the 2015/16 JGP Final in Barcelona where she placed 6th. The following season she competed at her first Challenger Series competition, the 2016 CS Nebelhorn Trophy where she won gold and then made her senior Grand Prix debut at the 2016 Skate America. She then took bronze at the Japan Championships, and took part at the Four Continents Championships in Gangneung, South Korea where she won another gold. At the 2017 World Championships in Helsinki she placed fifth overall, and together with Wakaba Higuchi won two spots for Japan at the 2018 Olympic Games. In April, Mihara competed as a part of Team Japan at the 2017 World Team Trophy and helped Team Japan win the gold medal overall. She is the 2017 Four Continents champion, 2016 Skate America bronze medalist, 2016 CS Nebelhorn Trophy champion, and 2016/17 Japanese national bronze medalist. She was diagnosed with arthritis in December, following the 2015 JGP Final. 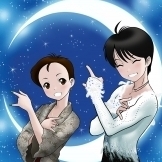 She is currently coached by Sonoko Nakano and Mitsuko Graham, and is a member of the Sysmex skating club. She participated in 2017 CS Autumn Classic International where she finished 2nd. She then participated in 2017 Cup of China where she placed 4th (video: Short Program, Free Skate). Yuna Shiraiwa is a Japanese figure skater. She was born in Kyoto, Japan on November 26, 2001. She began skating in 2006, after being inspired by Shizuka Arakawa's 2006 Olympic victory. She debuted on the ISU Junior Grand Prix circuit in the 2015/16 season and qualified for the JGP Final in Barcelona, where she finished 5th. That season she won the silver medal at Japanese Junior Championships behind Wakaba Higuchi. Making her debut at the Japan Championships on the senior level, she placed 5th, and was named as a member of the Youth Olympic and the Junior World teams. At the 2017 World Junior Figure Skating Championships in Taipei City, Taiwan she placed 5th. She has won gold medals at two ISU Junior Grand Prix events and finished in the top five at two World Junior Championships (2016–2017). She is currently coached by Mie Hamada, Yamato Tamura and Haruko Okamoto, and is a member of the Kansai University Kaisers FSC skating club. She has participated at CS Finlandia Trophy 2017 where she placed 7th. She then participated at 2017 HHK Trophy where she finished 8th (video: Short Program, Free Skate). Elizabet Tursynbayeva is a Kazakh figure skater, born in Moscow, Russia, on 14 February 2000. Her family is originally from Kazakhstan and though born in Russia, she represents it at the international scene. Her brother Timur Tursynbayev, who is two years older than her, is a two-time Kazakhstan national figure skating champion and she started skating at the age of five, following his foot-steps. During her childhood she was briefly coached by Elena Buianova and Svetlana Sokolovskaya from 2011 to 2012, before switching to Eteri Tutberidze. That relationship was brought to an end in 2013 because Russian coaches no longer had the right to work with non-Russian skaters during the 2014 Olympic season. Elizabet, or Bet for short, and her mother then wrote a letter to Brian Orser, whom she had always wanted as a coach, and sent him videos of her, asking if he could coach her, to which he agreed. She experienced constant visa problems though, which meant that she spent only a part of the year training in Toronto under Orser and instead trained mainly at a shopping mall ice rink in Moscow with her mother. She participated in 2014 World Junior Championships in Sofia, Bulgaria where she finished 11th and 2015 World Junior Championships in Tallinn where she placed 4th, and she has medaled at several JGP events before turning Senior in 2015/16 season. Last season she won the bronze medal at the 2016 CS Autumn Classic International and appeared as a torch-bearer for the 2017 Winter Universiade but was too young to compete. At the 2017 Four Continents Championships in Gangneung, South Korea, she received a small bronze medal for her short program and finished 8th overall and third at the 2017 Asian Winter Games. She participated in 2017 World Championships and finished 9th, which gave Kazakhstan two spots for the upcoming Olympic Games. She is the 2017 Asian Winter Games bronze medalist, the 2016 Winter Youth Olympic bronze medalist and two-time Kazakhstan national champion (2015–16). Tursynbaeva is a professional violinist and can also play the piano. She attended a special music school in Moscow. 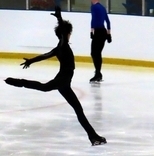 She is currently coached by Brian Orser, and is a member of Toronto CSC skating club. She is hoping to incorporate a 4S into her programs for the upcoming season. This season she participated in ISU CS Autumn Classic International 2017 where she placed 3rd. Maria Romanovna Sotskova is a Russian figure skater. She was born on 12 April 2000 in Reutov, Moscow Oblast, Russia. She began skating at the age of four after her mother decided to bring her to the ice rink and made her junior international debut at the 2013/14 Junior Grand Prix. She qualified for the JGP Final in Fukuoka, Japan where she won the gold medal. She then took silver behind Sakhanovich at the 2014 Russian Junior Championships and was assigned to the 2014 World Junior Championships in Sofia, Bulgaria but was forced to withdraw due to an injury. The following season she finished 4th in Barcelona, Spain at her second JGP Final and placed 5th at the 2015 World Junior Championships in Tallinn. In the 2015/16 season she qualified for her third JGP Final where she took the silver medal which she repeated at the 2016 Winter Youth Olympics in Hamar, Norway. In the 2016/17, she participated in her first Senior Grand Prix and qualified for the Grand Prix Finals in Marseille where she finished 5th. She then placed 5th at the 2017 European Championships in Ostrava and 8th at the 2017 World Championships in Helsinki. She is the 2016 Youth Olympic silver medalist, the 2016 World Junior silver medalist, the 2013/14 Junior Grand Prix Final champion, and the 2017 Russian national bronze medalist. She is currently coached by Elena Buianova, and is a member of CSKA Moscow skating club. She has participated in 2017 CS Finlandia Trophy where she placed 1st. She then participated at 2017 Skate Canada, where she finished 2nd (video: Short Program, Free Skate). Elizaveta Sergeyevna "Liza" Tuktamysheva is a Russian figure skater. She was born 17 December 1996 in Glazov, Udmurtia, Russia and has started skating when she was four years old. Her sister, Evgenia, is seven years younger and has also taken up skating. She debuted at the Junior Grand Prix circuit in the 2010/11 season and qualified for the JGPF right away, where she won the silver medal. At the 2011 World Junior Championships she repeated this. She debuted on the senior Grand Prix circuit at Skate Canada the following season, where she won gold. 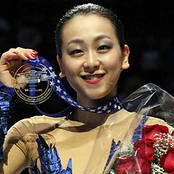 She is the first ladies' skater to win her senior debut event and to win both events in her senior Grand Prix debut. At the Grand Prix Final, she finished fourth. In the 2012/13 season she qualified for the Grand Prix Final in Sochi, Russia where she finished fifth. At the 2013 European Championships she won the bronze medal. At the 2013 World Championships for her Worlds debut, she finished 10th. In 2014/15 she qualified for the Grand Prix Final and won. She subsequently won the 2015 European Championship. At the 2015 World Figure Skating Championships she performed the triple axel for the first time in major competition, becoming the seventh woman to complete the jump and the fourth to do so at the World Championships. She won overall, becoming the third Russian woman to win the World Championships (after Maria Butyrskaya in 1999 and Irina Slutskaya in 2002 and 2005). She is the 2012 Youth Olympics champion, 2011 World Junior silver medalist, and 2010–11 JGP Final silver medalist; the 2015 World champion, the 2015 European champion, the 2014–15 Grand Prix Final champion and the 2013 Russian national champion. At the 2015 World Championships, she became the first female skater to land four triple jumps in a short program (triple Axel, triple lutz, and a triple toe-triple toe combination). She is currently coached by Alexei Mishin and Tatiana Prokofieva, and is a member of the Olympic School Zvezdni Led St. Petersburg skating club. This season she has participated in 2017 CS Lombardia Trophy where she finished 6th and CS Finlandia Trophy where she finished 3rd. Alina Ilnazovna Zagitova is a Russian figure skater. She was born on 18 May 2002 in Izhevsk, Russia. She was nameless for a year until her parents decided to name her "Alina" after watching Russian rhythmic gymnast Alina Kabaeva. She began skating when she was five years old. She trained in Izhevsk under Natalia Antipina until 2015 when she switched to Sambo 70 in Moscow. Her international debut came in late August 2016 at a 2016/17 ISU Junior Grand Prix (JGP) competition in Saint-Gervais-les-Bains, France. She qualified for the JGP Final, held in December in Marseille. In France, Zagitova ranked first in both segments and scored new junior ladies' records in all categories. She became the first junior lady skater in history to break the total score above the 200 mark. At the 2017 World Junior Championships in Taipei she won the gold medal. She is the 2017 World Junior champion, 2016–17 Junior Grand Prix Final champion, 2017 Russian national senior silver medalist and 2017 national junior champion. She is the first junior lady skater in history to break the total score above the 200 mark, scoring a total of 207.43 points, at the 2016/17 JGP Final held in Marseille, France. She also set the junior-level ladies' record for the short program with score of 70.92 points there and the junior-level ladies' record for the free program with score of 136.51 points. She updated her record total to 208.60 set at the 2017 Junior Worlds. This season she has participated in 2017 CS Lombardia Trophy where she placed 1st. Polina Edmunds is an American figure skater. She was born on May 18, 1998 in Santa Clara, California, USA. Her mother, Nina, is a figure skating coach and former figure skater originally from Tver, Russia, who learned how to coach under Alexei Mishin. She has two brothers—James, who is two years older, and Daniel, four years younger—both of whom play hockey. Olympic ice dance champions, Marina Klimova and Sergei Ponomarenko, are the godparents of her brother, Daniel. She first stepped onto the ice at twenty months old and was taking lessons in both skating and ballet by age four. 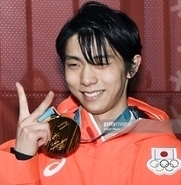 Having received no ISU Junior Grand Prix assignments, Edmunds' only remaining opportunity to get on the ISU's Season's Best or World Standing lists and thus, have a chance of a senior Grand Prix assignment in the following season was the 2013 World Junior Championships but U.S. Figure Skating decided not to give her one of the three ladies' spots to World Juniors. The following season she received her first ISU Junior Grand Prix and qualified for the finals. At the Junior Grand Prix Final in Fukuoka she finished fourth overall. Edmunds competed on the senior level for the first time at the 2014 U.S. Championships. She won the silver medal behind Gracie Goldafter placing second in both segments of the competition. On January 12, Edmunds was named to the U.S. team for the Olympics and Worlds, where she finished 9th and 8th overall. Edmunds won gold at the 2015 Four Continents and at the 2015 World Championships finished eight overall. She withdrew from the 2016 Four Continents Championships because she lacked time to break in new skates. As a result of a bone bruise, she withdrew from the 2016 World Championships in Boston. She resumed skating in August 2016 but paused her training in November after the bone bruise returned and returned to the ice in March 2017. She is the 2015 Four Continents champion, a two-time U.S. national silver medalist (2014, 2016), and represented the United States at the 2014 Winter Olympics in Sochi. She is currently coached by David Glynn, Nina Edmunds and Sergei Ponomarenko, and is a member of the Peninsula SC San Jose skating club. She participated at 2017 CS Finlandia Trophy where she placed 13th (video: Short Program, Free Skate). Bet they're just calling her "Baby" for a year. Alina got an amazing score on her Free yesterday. Am liking it more and more. - Do you feel any pressure from all the media after your wins? Do you read any forums? A: I tend not to read anything. Now they keep comparing me and Zhenya, puting pressure on us, because people don't understand that we are still training together in the same group and we have to stay calm and prepare for the next competitions.